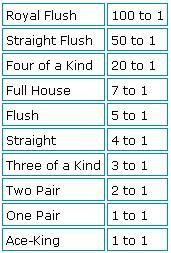 Without knowing the probabilities, it is a bit silly to play Caribbean Stud Poker. Of course, luck also matter, but being well informed and taking right decisions also matters a lot in this game. Winning players understand the probabilities of the games they play and Caribbean Stud Poker is not an exception. Even though decisions do not matter in casino games such as Baccarat and Slots, they do matter in games such as Video Poker and Blackjack. Caribbean Stud Poker is one such game, where decision matters a lot and making right decisions starts with better understanding for some of its probabilities. 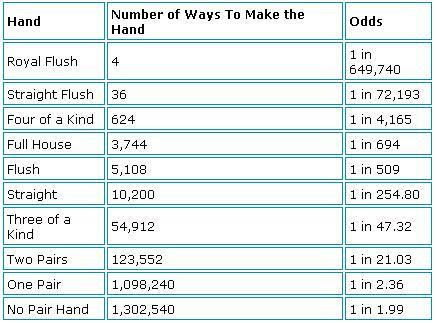 You will most likely perceive that the payouts do not reflect the probabilities of winning the hands.